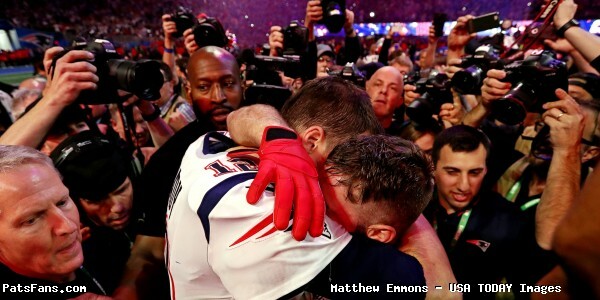 The New England Patriots released more behind the scenes Super Bowl LIII video this week. Check out how Matthew Slater, Sony Michel, Dont’a Hightower, Devin McCourty, Jason McCourty, Julian Edelman and Rex Burkhead celebrated on the field in Atlanta. Video courtesy, New England Patriots YouTube Channel. 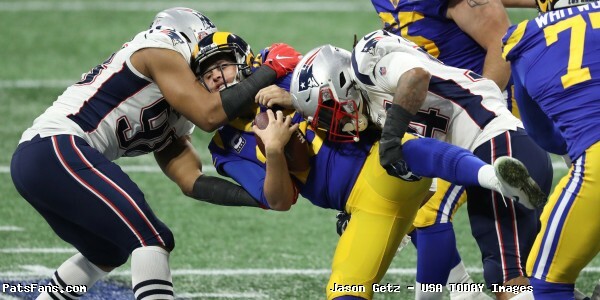 This entry was posted in 2018 Patriots playoffs, Patriots Video, Super Bowl LIII and tagged Devin McCourty, Dont'a Hightower, Julian Edelman, Matthew Slater, Rex Burkhead, Sony Michel, Super Bowl LIII on February 11, 2019 by Robert Alvarez. The New England Patriots released the fourth and final episode of “Do Your Job”, a documentary series. In the final episode, the Patriots pull back the curtain and share how the organization prepared for its trip to Atlanta for the Super Bowl. From hotel arrangements to equipment transportation, check out the conclusion to the behind the scenes series below. Special teams captain Matthew Slater, again provides narration. Video courtesy, The New England Patriots. This entry was posted in 2018 Patriots playoffs, Patriots Video and tagged Do Your Job Video, Matthew Slater on February 8, 2019 by Robert Alvarez. On Wednesday, The New England Patriots released the first episode of “Do Your Job”, a team produced four-part documentary series that provides a behind the scenes look at the inner workings of the team. 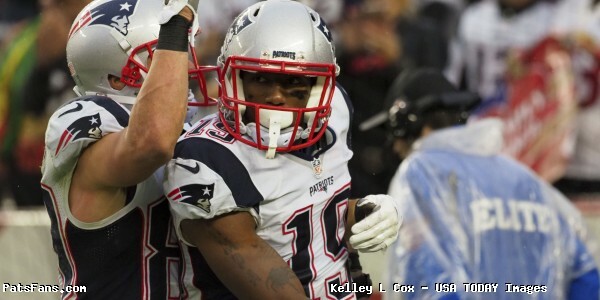 Episode one, narrated by special teams captain Matthew Slater, follows Murphy’s day to day routine and responsibilities. From the practice field to the game field and the home locker room to team travel, Do Your Job takes you behind-the-scenes with the Patriots equipment staff. This entry was posted in Patriots Video and tagged Matthew Slater on October 3, 2018 by Robert Alvarez. With the 2018 regular season set to begin in three days, the New England Patriots selected their six team captains. As first reported by the Boston Globe’s Jim McBride on Thursday the captains are as followed. For the first time in their Patriots careers, James White and Patrick Chung have been selected captains while Tom Brady is selected for the 17th straight season dating back to his first in 2002. 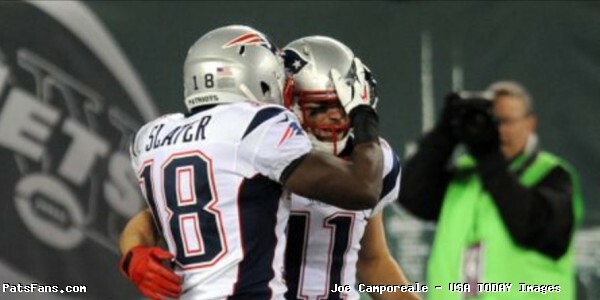 McCourty and Slater have earned the honor every year since 2011. Tight end Rob Gronkowski, Linebacker Don’ta Hightower, and safety Duron Harmon were removed from serving as captains. During his Friday press conference, head coach Bill Belichick praised the 2018 group and newest captains Chung and White. "I think the leaderships extends far beyond the guys that were elected for that… It's about as strong as a room as you could have…" Bill Belichick on #Patriots captains and leadership of the safeties in particular. "Done a great job on and off the field. He's earned that confidence and trust by doing it on a consistent basis. No magic to it." Bill Belichick to @PatriotsCLNS colleague @ezlazar on James White named a #Patriots captain. This entry was posted in Patriots News, Patriots Twitter and tagged 2018 Patriots season, David Andrews, Devin McCourty, Dont'a Hightower, Duron Harmon, James White, Matthew Slater, Patrick Chung, Rob Gronkowski, Tom Brady on September 7, 2018 by Robert Alvarez. The wait is nearly over as the Patriots head into training camp tomorrow. NFL Football is back among us until February, and not a moment too soon. The Patriots offseason has been mired in innuendo, speculation, with an almost soap opera-like aura that seems more like “keeping up with the Kardashians” than the Patriot Way. So now we can fill the airwaves of football talk again. There should be no shortage of competition at a number of spots. But for our final position there shouldn’t be a lot of movement at the key spots. We’re on to the Special Teams. So, with that in mind who is locked in and who is on the bubble? The team brought in no competition for their kicker and long snapper which speaks volumes in the confidence they have in both. Gostkowski had a nice comeback season in 2017 in the kicking game. He was good on 92.5 percent of his field goals, hitting on 37 of 40 attempts including going 4 – 4 on attempts over 50 yards including career-long 62-yarder against the Raiders. Gostkowski continues to be outstanding with his kickoffs. The Patriots were very good at pinning opponents back inside their 25-yard line or better during the season with the changes to the touchback rule. And Gostkowski had that developed into an art form, angling his kicks on one side of the field near the corner of the end zone. Opponents drives average start was their 24 yard line, the best in the NFL. Cardona has been a solid accurate long-snapper since entering the league. A testament to his prowess is that you very, very rarely hear his name called in a game. Which means his snaps on field goals, extra points and punts are usually spot on. He’s done a terrific job of balancing his job with the Patriots and his duties as a Naval Officer which isn’t an easy task as well. Facing no camp competition again this year, Gostkowski and Cardona need only worrying themselves to be ready to go for the season opener. Allen is facing competition for the first time in his tenure since besting Zoltan Mesko in the 2013. And while his punting average has gone down each year for the past three years, he has actually become more effective at pinning opponents inside the 20-yard line. Rewind to the 2nd half of the AFC Championship Game against the Jacksonville Jaguars. 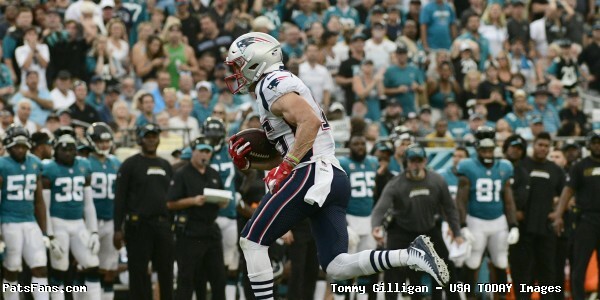 Allen pinned the Jags offense inside the 10-yard line three times in the second half, flipping field position for the Patriots and having a big role in the comeback victory to send the team on to the Super Bowl. But he’s in the last year of his contract, and this is something we’ve seen before with the Patriots, Bill Belichick will change things up every few years with his punters. We’ve seen Ken Walter, Josh Miller, Chris Hanson and Mesko, who lost his job to Allen. He’s been here five years but faces serious competition for the first time. Bojorquez is another left-footed punter from New Mexico. Last season for the Lobos, he punted 67 times with an average of 47.3 yards, so he has a tremendously strong leg. He had 12 of those turn into touchbacks, which will need to be remedied. But despite his average, 25 of his punts were fair caught by the opposition which speaks highly of the amount of hang time. We were witnesses to that during June’s minicamp. Bojorquez was absolutely booming the ball with incredible hang time. One punt which went well over 50 yards, hung up so long, punt returner Riley McCarron would have been forced to fair catch the ball during a game. This should be a fantastic competition, while Bojorquez has the edge on leg strength and distance, Allen’s directional punting and consistency gives him the nod there. This should be fun to watch. The Patriots place a premium on players who excel on Special Teams among them Matthew Slater, Brandon Bolden, Nate Ebner, Brandon King, Geneo Grissom, Nicholas Grigsby among others. Those players were listed elsewhere as positional players but are truly more special team’s aces than offensive or defensive players. Ebner in particular was missed for his expertise as the personal protector on punts after he went on IR last year. Some of the new players or ones returning from injury are also special teams mavens such as Cordarrelle Patterson, who besides being the NFL’s best kick returner, is a very good gunner. Marquis Flowers was brought over last season for his STs experience but parlayed that into a role on defense as well. What it means is that these players will be fighting for their roster spots every day as well as the positional players. Keep an eye on the kickoff and punt coverage units during training camp. Because those positions will ultimately tell the tale for some of the bottom of the roster players who will either make the team or be released. 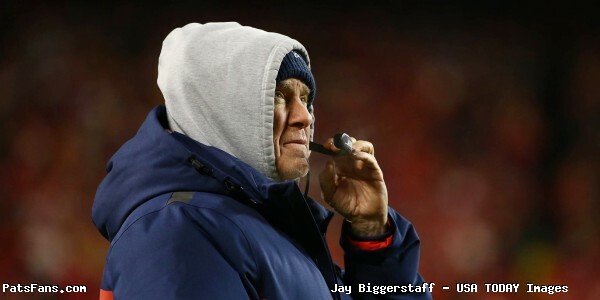 Bill Belichick and ST’s coach Joe Judge will have some interesting decisions to make. 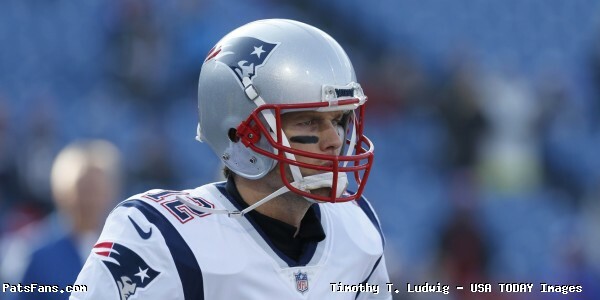 This entry was posted in 2018 Patriots Offseason, NFL Commentary, NFL News, Patriots Commentary, Patriots News and tagged 2018 Patriots season, 2018 Patriots Training Camp, 53 Man Roster Projection, Bill Belichick, Brandon Bolden, Brandon King, Corey Bojorquez, Geneo Grissom, Joe Cardona, Joe Judge, Matthew Slater, Nate Ebner, New England Patriots, NFL, Nicholas Grigsby, Patriots, Patriots special teams, Ryan Allen, Stephen Gostkowski on July 25, 2018 by Steve Balestrieri. The New England Patriots shared a powerful message to a die-hard fan who was battling illness and given only days to live over Father’s Day weekend. 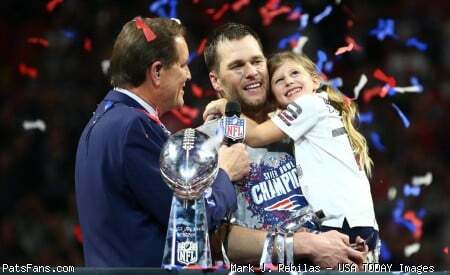 After the fans’ first tweet went viral over social media following an outpouring of fans trying to get the teams attention, Patriots Owner and CEO Robert Kraft, along with special teams captain Matthew Slater, each sent personal videos for the fan to hear during his final hours. The Hollister twins also reached out to show some support and compassion. Check out the course of events that went down over Twitter and made for a very special Fathers Day for one man and his son. This entry was posted in 2018 Patriots Offseason, Patriots Twitter, Patriots Video and tagged Cody Hollister, Jacob Hollister, Matthew Slater on June 21, 2018 by Robert Alvarez.